You’ve probably never heard of Vaiva Kalnikaitė’s favorite meal. The creative director and founder at Dovetailed — a Cambridge-based design studio — enjoys feasting on berry-like spheres, in super intense wasabi, onion and sake flavors, served in a coconut shell over smoked mackerel and shredded celeriac. Dovetailed’s 3D food printer, or the ‘nūfood kitchen robot’ as it’s dubbed, enables foodies, restauranteurs and the plain curious to turn liquids into inventive fruit-like creations that burst with unexpected flavor. 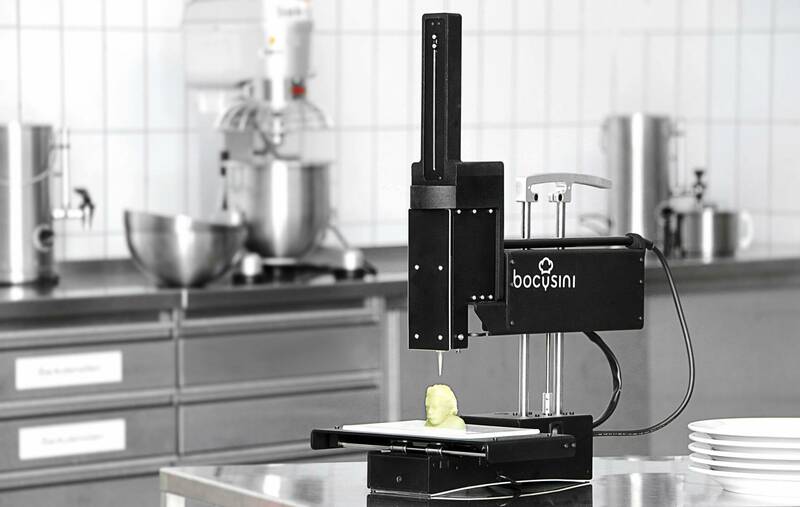 Their kitchen robot is part of a new wave of 3D printers shaking up the food industry and the way we experience meal time. Novelty aside though, what’s the point of 3d printing flavor-packed berries? “We’re exploring ways to potentially preserve food better and use less packaging and not pick it when it’s not ripe,” says Kalnikaitė. She points out that harvesting fruits when they’re in season and at their most nutrient rich state, then converting them into liquid form, transporting them to their destination and finally reconstructing them back into a 3d shape can actually be more efficient, reducing shipping waste. So how does the food printing part work? Dovetailed uses a technique called “spherification” in the molecular-gastronomy world. You mix naturally-derived liquids, like fruit juices, oils or spice extracts with sodium alginate, then the printer drips beads of the liquid into a bowl of calcium chloride. This process causes the beads to hold their form, yet they’re still liquid when you bite into them, much like a juicy berry is in nature. 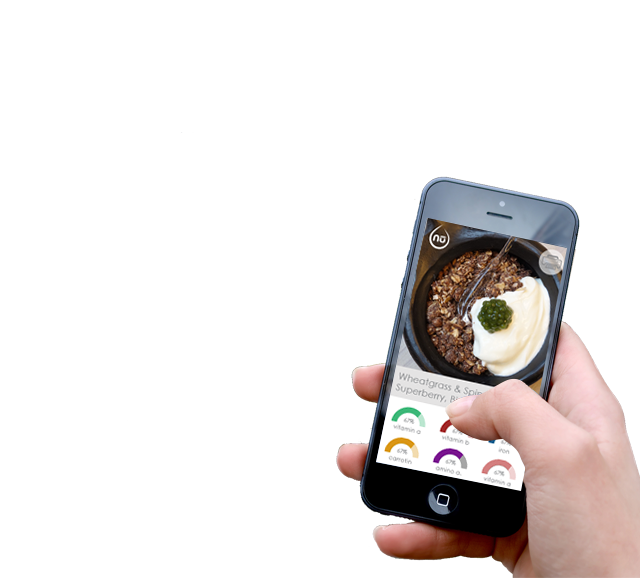 Nūfood has a creative aspect as well — using the app that accompanies the kitchen robot, users can choose the flavors they’d like to combine and map out the shapes they’d like to print themselves. 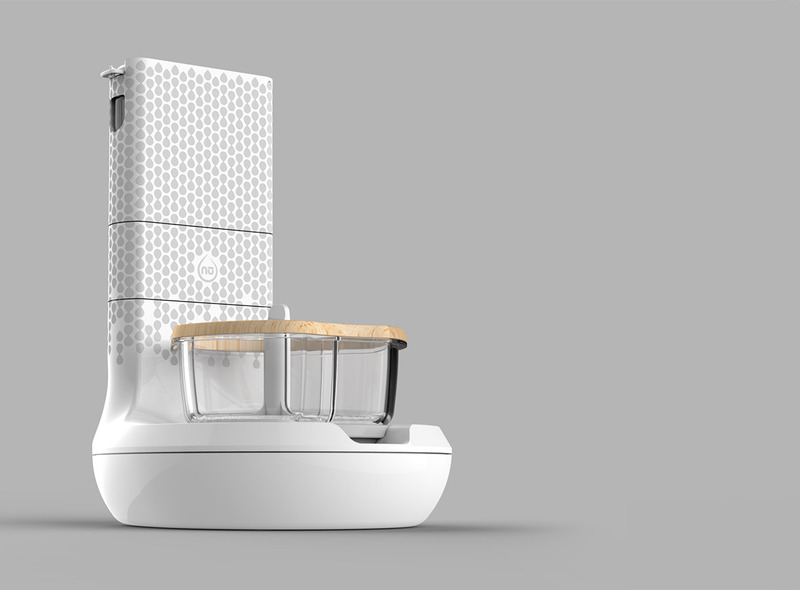 Though luxury items now, you may soon find 3d printers becoming nearly as common in kitchens as coffee makers. Market-research group MarketsandMarkets predicts the 3D printing market will reach 30.19 Billion (USD) by 2022, with a compound annual growth rate of nearly 29% between 2016 and 2022. And it turns out 3D food printing has way more important uses than just creating weird and delicious flavor bombs for your mouth; you can use these robotic chefs to feed everyone ranging from the sick to astronauts in deep space. The German company Biozoon, for instance, dishes up its 3D-printed food, Smoothfood, to the elderly and those with swallowing disorders who need soft food. Think gelatinous, bone-free ‘roast lamb’ and gravy, served with jelly-like fingers of reconstituted asparagus. Then there’s BeeHex, a startup born from a NASA project that just raised a million in seed funding for its Chef 3D, a pizza printer. In theory, astronauts could travel with dehydrated pizza ingredients, that serve as edible ink for 3D food printers. And, of course, each of BeeHex’s pizzas are customizable depending on a person’s dietary preferences. I am guessing this will be a new type of food experience for sure. It stays liquid and even as you bite into it the food is liquid? Great use of technology available for 3D printing, but I am not seeing the need for something like this as a consumer. I think there is plenty of use for a “fake” food printer, that is for sure. Photo shoots, background accessories or props for a set are just a few things that come to mind right away. The best part, as a consumer, the printers are going to become more efficient and affordable making them something that anyone can mess around with.